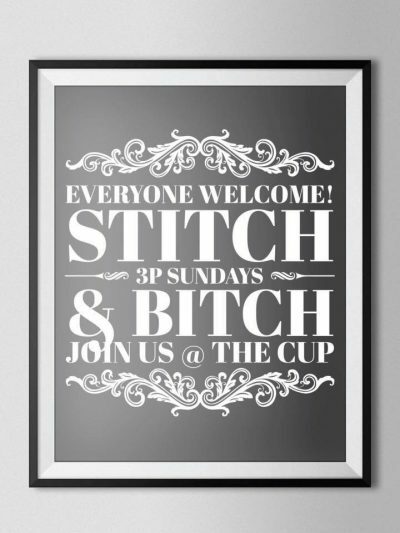 We now meet every Sunday, starting at 3p and often going until The Cup closes. Not everyone has a yarn project, not everyone crochets or knits. Some bring mending or work on jewelry crafts or sketch. Mostly, we want to gather together in creative fellowship and caffeine! 🙂 Please join us, everyone is welcome!